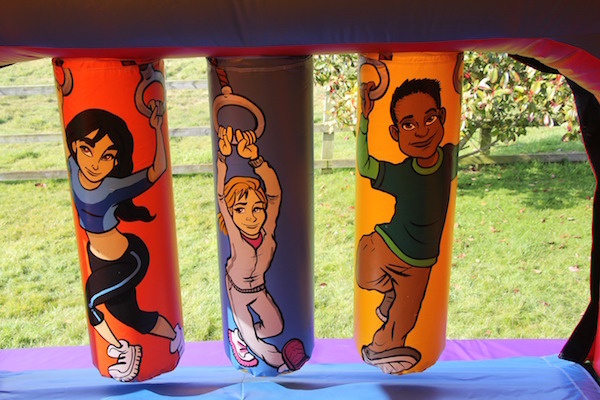 Do you want something different to a bouncy castle? 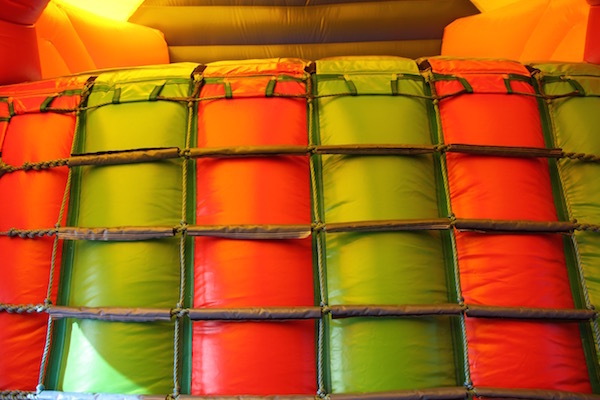 Children will just adore the fun, excitement, adventure and challenge of an obstacle course. 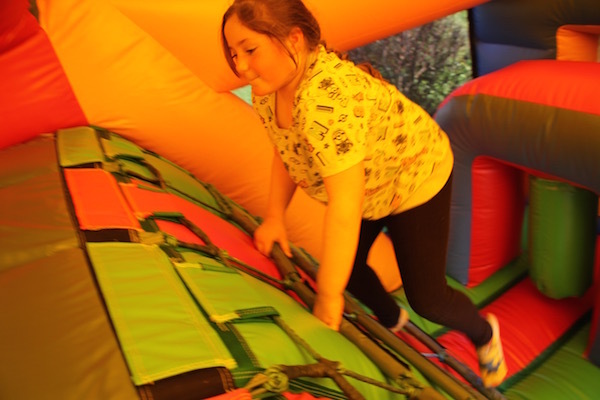 Fun Run One comprises of biff n’ bash wobblers, obstacles, a cargo net climb & a slide. 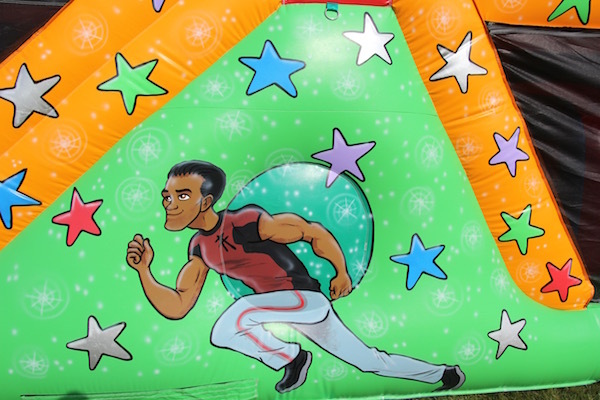 This magnificent colourful inflatable is suitable for both adults and children alike. 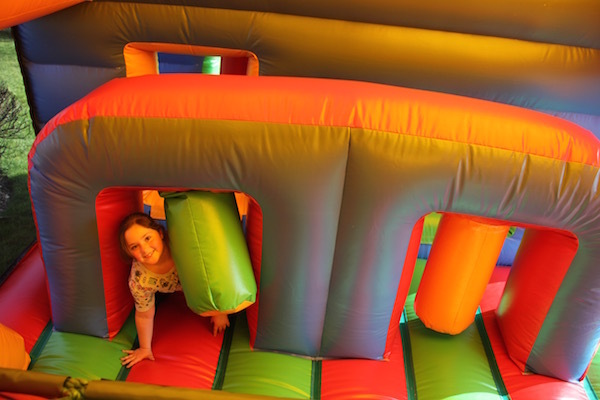 It is a spectacular attraction and ideal hire choice for parties, fun days and fetes. 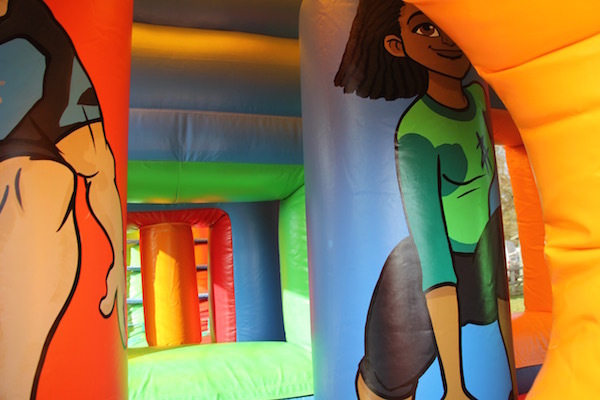 If mains electricity is not available within 50 metres of where you would like this fun run sited, please do not hesitate to ask about our diesel generator hire. 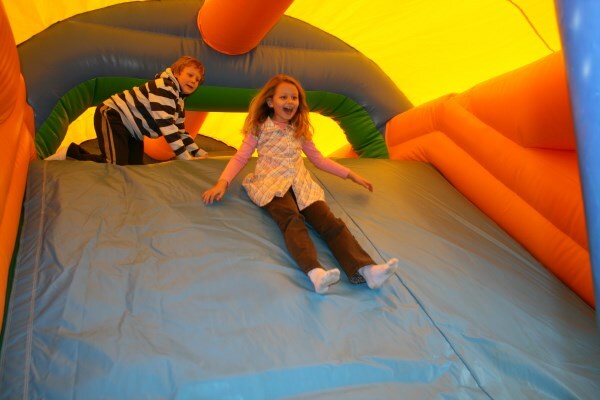 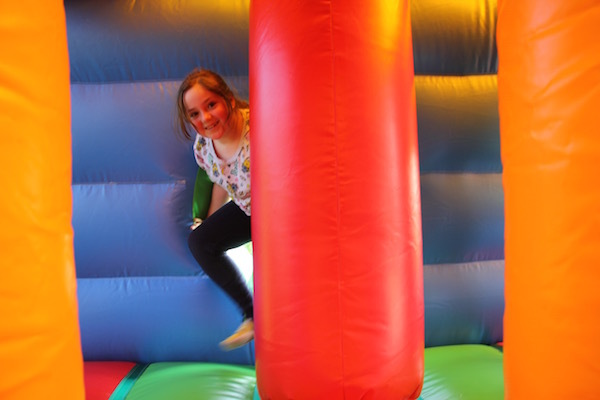 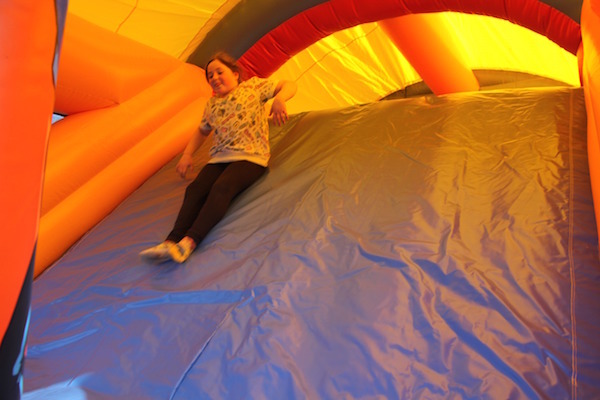 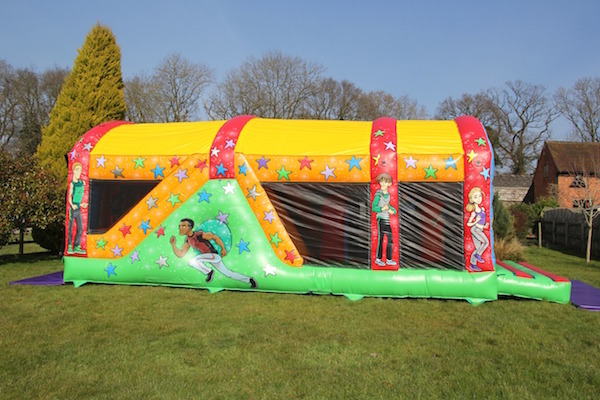 The Fun Run One is available to hire indoors or outdoors subject to the ceiling height of your venue. 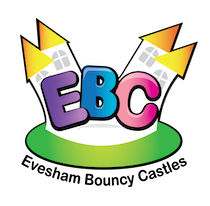 Our wealth of knowledge of venues in and around the Evesham & Worcestershire area can help you find the right venue. 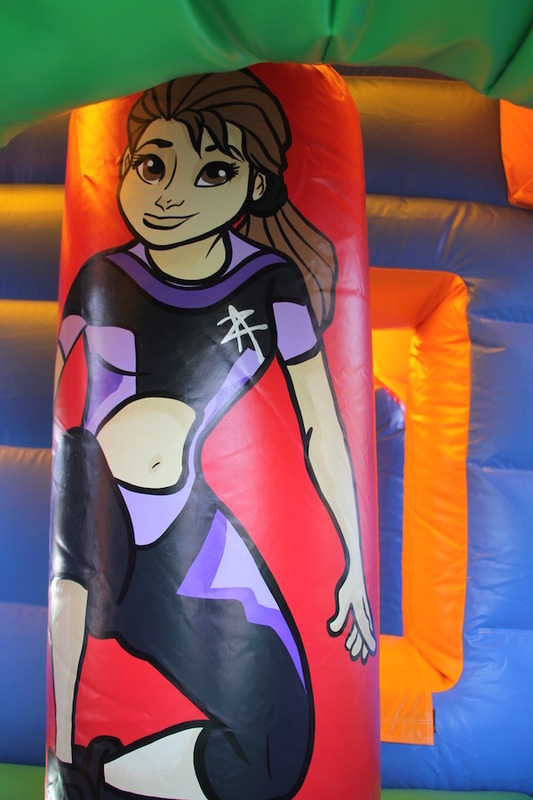 Please do not hesitate to call the office to discuss if this inflatable is suitable for your event. 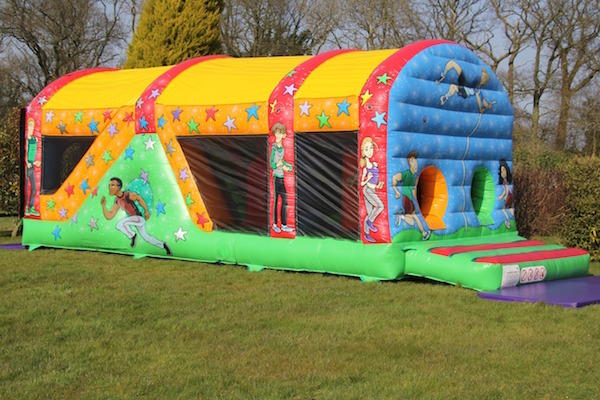 Fun Run One is available to hire throughout Evesham, Worcestershire, Herefordshire, Gloucestershire and The Midlands and other areas of the UK.